Aryabhatta College- Delhi University, one of constituent colleges of Delhi University. Previously known as Ram Lal Anand College has been named after Aryabhatta, India’s renowned Mathematician. Aryabhatta College came into existence ever since 1973, after which it had been taken by a Trust that administers and managed Ram Lal Anand College. Now the college imparts world class education along with much as recent trends and norms of Indian education system. Set in the midst of rich grounds and encompassed by picturesque Aravali Range of South Delhi, the Aryabhatta College furthermore brings in a lot of students across the country each year. Unlike every year, it seems like even this year the cut-off marks set up by the co-educational institution is abate and achievable. The college provides 3-Years courses in Science, Commerce, Foreign Languages, Arts and Humanities for undergraduate level and hence overall encompasses over 10 departments. The Aryabhatta College is Equipped with modern facilities, in addition it is fabricated to cater to the need of students in line with modern education system. The Aryabhatta College, therefore is the lookout for a number of students aspiring to be a part of Delhi University. Due to its escalating demand, Aryabhatta College’s Cut Off is relevantly low, compared to other colleges of Delhi University. An aggregate of 45% marks in the qualifying examination is required for B.A. (hons) and B.Com (Hons). An aggregate of 40% marks for B.A (general and vocational) as well as for B.com (general). Overall 50% marks in Mathematics and an aggregate of 45% marks in the qualifying examination is essential for B.Sc. (Mathematics and Statistics). The college has a magnitude of 2200 students at present and over 40 teaching and non-teaching highly accomplished and experienced faculty and staff. The college does not provide hostel facility, rather has an excellent paying guest (PG) facility with reasonable rate ranging from 8000-9000, outside the campus. These PG’s provide food, in addition to free Wi-Fi and are furthermore air conditioned. The college has a well-maintained library which remains open on all working days from 9 AM to 5 PM, except Sunday. Consequently, The Locality of college campus is quite safe with easy transportation and also has nearby police station. The college canteen serves variety of good quality food, most of all at a reasonable rate. Aryabhatta College belongs to Delhi University and is a government college. Seems like, Government colleges are less expensive than their private counterparts. Therefore, Aryabhatta College which is under Delhi University, has its fee structure which is quite affordable and it offers scholarships for intelligent students belonging to economically backward sections of the society. The table below highlights the fee structure of the different courses offered. 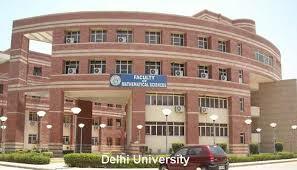 Being one of the youngest college of Delhi University, it has an outstanding infrastructure and ambience. Aryabhatta College has been Rated 8 in Academics & Faculty by students in the College Review. It encourages youth to participate in National Cadet Cops (NCC) on a voluntary basis and a wide spectrum of extra-curricular activities are inculcated and carried out annually. The canteen leaves no stones unturned to grab the attention of the students by providing good quality food at a reasonable price. Different sports like Taekwondo, Gymnastics, Basketball and Cricket are practiced by the interested students within the college campus. Aryabhatta College men’s team won the Inter College Championship organized by DUSC. It was their Fourth Victory in a row. Aryabhatta College provide scholarship to intelligent yet poor students and also gives a fair amount of discount in fees to students who excel in their academics with soaring percentage of marks. Sports has been encouraged for both men and women. The magnificent faculty of Aryabhatta College brings into limelight excellent delivery of education. Being highly qualified and possess good level of expertise in their respective fields of study. Class rooms are well ventilated and entire building portray a sheer excellence of architecture brilliance. Computer labs are equipped with modern operating systems like LINUX, WINDOWS 10, and many more. 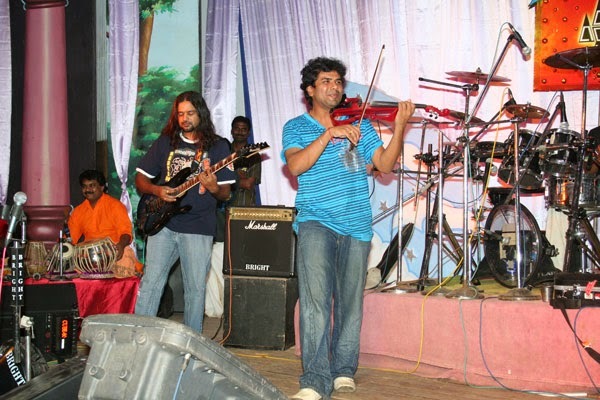 Aryabhatta College has been termed as the best college of South Delhi. The alumni of Aryabhatta College are well established in their respective fields. The alumni are constant sources of guidance and encouragement for all the students. At present there are over 8 alumni members. Every department organizes cultural programs and students participate in inter-college fests conducted by Delhi University. The placement cell is very active and also conducts seminars and workshops on soft skill development and furthermore pays emphasis on grooming and improving technical knowledge of its graduate students. Companies like Vivo, Paytm and Amazon are regular recruiters, relatively providing a package of 2.5 lacs to 4 lacs annually. However, there is no facility for internship. Students have to apply off campus for internship in various streams. In a nutshell, if you are planning to opt for Aryabhatta College to pursue your desired stream, go through the Pro’s and Con’s, as there are two sides to every coin. Aryabhatta College is a decent college and in few span of time it also has the potential of emerging as one of the best sought after colleges under Delhi University. Providing good placement and most of all brilliant faculty with low fee structure, Aryabhatta College will be set to be one among the top priority college for students seeking admission.